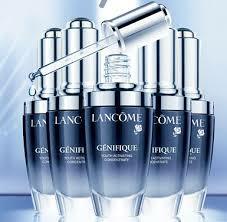 Steward of Savings : Lancôme Advanced Génifique Youth Activating Serum Sample! Lancôme Advanced Génifique Youth Activating Serum Sample! Lancome is giving away FREE 1-Week Supply of Lancome Advanced Genifique Youth Activating Serum Sample for a limited time, simply enter your deet's to redeem offer and expect sample in 4-6 weeks!